I know I've been leaving you breathless (chos! :p) and impatient with my post regarding the shoot that happened last Saturday. So here I am, about to share to you some photos and BTS with my retro chic outfit. The shoot was held at Wildlife QC, and if you've been reading my blog ever since, you know how much I love to conduct shoots at this area. So you could just imagine my happiness when I knew that I am, again, visiting that eco-friendly place in the busy city. And for the record, I got stunned with the twelve (12) photographers who were there to take our shots. Quoting my co-model and good friend, Vic Cajilig's words - "versus a dozen of photographers". Retro chic get-up, yes? :) And you aren't wrong, I am in sitting in a bulldozer wheel! Sir Mikhael and Sir Paul did wonders!!! Thank you so much for being totally patient. I cannot count how many times I said "BET!!!!!" 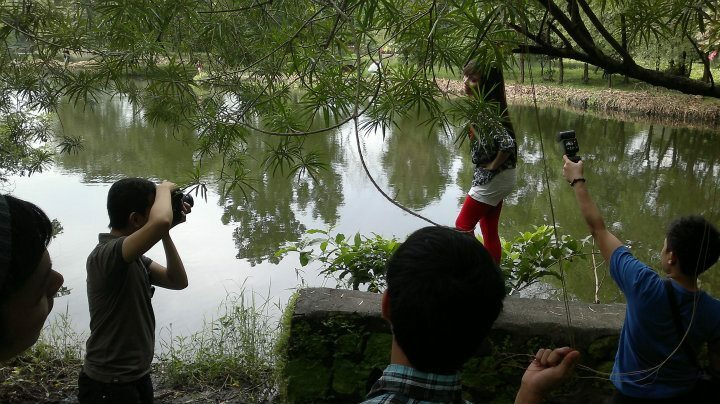 while viewing their shots! Hahaha! 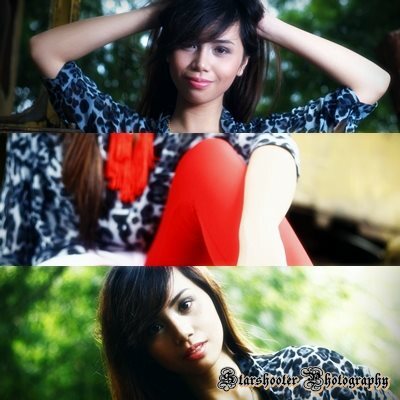 Kudos to the HMUA and director, kuya Alvin, for post-processing these photos! Good job! My Michael Antonio wedges!!! ♥ Expect to see a lot of photos of me wearing these babies. They're just so irresistible! 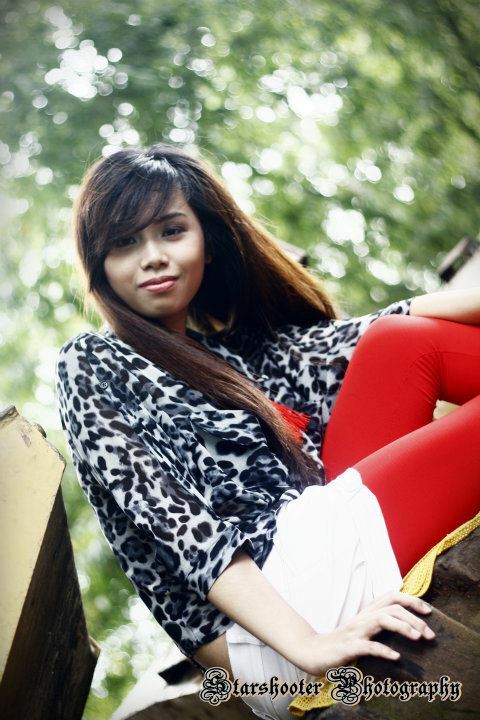 Thank you, kuya Alvin, for continuously helping me fix myself during the shoot! I'll leave you these by now! Will post more photos with my retro chic look and the other wardrobes I had soon! Hope you enjoyed reading through this. Much love! btw, can you check out my sister in laws page? she just started blogging, and would really appreciate if you can at least say hi and follow her too! @Katherine, awwww you're always sweet! Thanks for visiting my blog all the time. Love lots! Pretty pictures. Am in love with red details. @Little Petite, Awwww! :"> Thank you so much, it means a lot to me! arnie.. michael antonio shoes lover ka din pala..omg parehas tayo!!! love you arnie!! --bea u.